NTN-SNR pulleys, an essential component in the Distribution & Accessories range! 90% of premature failures in the engine distribution and accessories assembly are due to improper installation or poor quality pulleys. It is therefore necessary to pay specific attention to it. Choosing an NTN-SNR pulleys means getting back to the original performance of your engine. 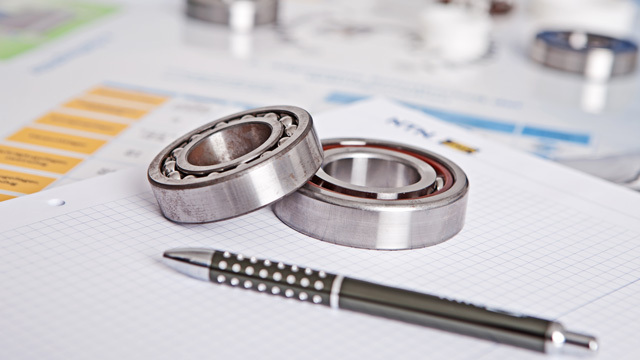 NTN-SNR has shown high growth in its sales of premium bearings for the steel industry in the last two years. During the first weekend of June, NTN-SNR celebrated its centenary around festivities. For this special occasion, NTN-SNR’s employees came from all over the world. On Friday 1st June, 800 people gathered on the Pâquier in Annecy to create a human logo . This event was followed by a birthday party at the Imperial. For the second time, NTN-SNR shall take part in Automatica, the international trade fair for robotics, automation and mechatronics to be held from 19 to 22 June in Munich. NTN-SNR is a major player in this market and has one of the widest ranges of high-performance Linear Guides and Linear Axis. Did you know that our entire range of NTN-SNR suspension bearings is made in France? We have 42000 m² dedicated to the manufacture of suspension products. At the Bearingworld Conference held in Kaiserslautern, Germany, on 6th and 7th of March, NTN-SNR presented a paper on the risks of White Etching Cracks (WEC) on the camshaft bearings in automotive engines. Many manufacturers are making increased use of this bearing application in engines as it offers reduced fuel consumption and CO2 emissions. NTN-SNR opens up its expertise and experience in agricultural machines for all manufacturers in the sector by structuring a dedicated commercial offering of 80 products including bearings, bearing units, sealing and maintenance solutions. Having worked with the biggest and most demanding manufacturers in the world for several decades, NTN-SNR is an acknowledged expert in tillage and harvesting. To continue its digital momentum, NTN-SNR is pleased to inform you about the launch of its new blog "The voice of the Experts". Experts will animate this blog, they will share their passion, their knowledge, their advice, their experience with you. Whether you are technician, expert or novice you will find a lot of information on various trendy topics around industrial mechanics. NTN SNR are expanding their range of ASB sensors, with 23 new references. The new references will cover such vehicles as the VW GOLF, AUDI A3, FIAT PUNTO / BRAVO and the MERCEDES C-Class and SLK /CLK models.